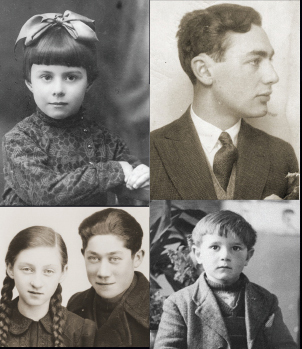 Esther Starobin and her three sisters left Germany for Great Britain in 1939 as part of a special rescue of Jewish children known as the Kindertransport, or children’s transport. In this episode, Esther discusses how she learned the fate of her parents and brother who remained in Germany after she and her sisters had left. And then as the letters went on, the writing got smaller, less punctuation. I think as my parents realized they were really not going to be able to come and meet us, there was a definite change. In today’s episode Esther Starobin talks with host Bill Benson about how she learned the fate of her parents and brother, who remained in Germany after she and her sisters immigrated to Great Britain in 1939. Esther and her three sisters were sent to Great Britain as part of the Kindertransport, a special rescue effort to save Jewish children. You just mentioned your parents – you got letters, your sisters knew they were in camps. Tell us what you had been able to learn about your parents once you left Germany in June of 1939. What happened after that? Well my parents and my brother, in October of 1940, were rounded up, as were all the Jews in Baden, and they were sent to France to Gurs, and then Rivesaltes. My father had a wooden leg which somehow didn’t get sent with him, and there’s some correspondence about another wooden leg being found for him. And these were in France? In France. My brother was with them until 1941, and he was then rescued – there’s another group called A Thousand Children, that were brought to the United States. He came here in 1941. He knew we had uncles but he didn’t know where they were, but there was a list. There’s a German Jewish newspaper, Aufbau, and there was a list of the children who were arriving, and my uncles saw that list. So my uncles picked him up, and then he was brought up by my aunt and uncle. When he first came here, my aunt talked about, he would hide food all over the house. He was always hungry. I mean as long as he lived he was always hungry, there was always a lot of food around him. He would never talk about it. In the late 1990s Fred and I went to Adelsheim because I needed to know where I came from. I felt like I’d been born in a black hole. I knew nothing about it. And I sent a postcard from Adelsheim, and his wife told me he wouldn’t look at the postcard, he just would not talk about it or anything to do with it. My parents were there until 1942, then in August of 1942 they were sent to Auschwitz, and they were murdered once they got to Auschwitz. In fact, the date itself, you know the actual date, don’t you? August 14th. How did you learn that? There’s a French book that lists all the transports from the French camps, which somehow Bertl knew about, and she got it. 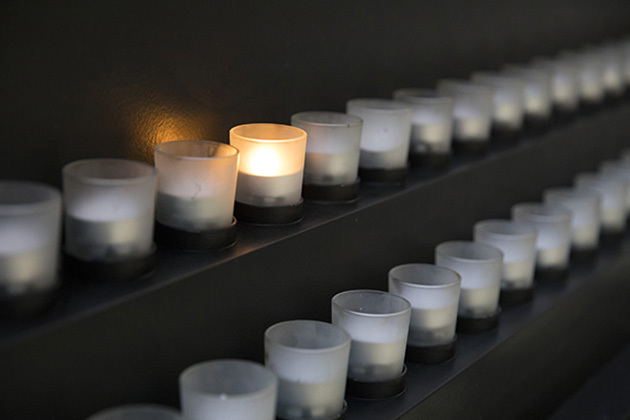 And it lists--they were on transport 19--it lists their name, their age, where they were from, and what day they got to Auschwitz, so that’s how I know. Will you tell us a little bit more about the few letters that were sent while you were in England by your parents, before they were sent to Auschwitz? So you had never known that. Oh she knew it. I didn’t know. No, no, you didn’t know. Yeah. So my husband Fred had them translated; somebody in his office knew German. And that really is the only way I know anything about my mother. My mother wrote the letters; my father at the end would say hello, goodbye, whatever. He didn’t say much. And the oldest child, “Make sure your sisters are good, they say thank you to the people who are taking care of them, they do well in school, they clean behind their ears” – you know, all the things that mothers say. And then as the letters went on, the writing got smaller, less punctuation. I think as my parents realized they were really not going to be able to come and meet us, there was a definite change. Now Bertl said she had more letters but they had gotten lost over the years, but the one thing she said to Bertl was that, “You must keep the family together.” Which is why, in 1947, with help from Bloomsbury House, we all came here.